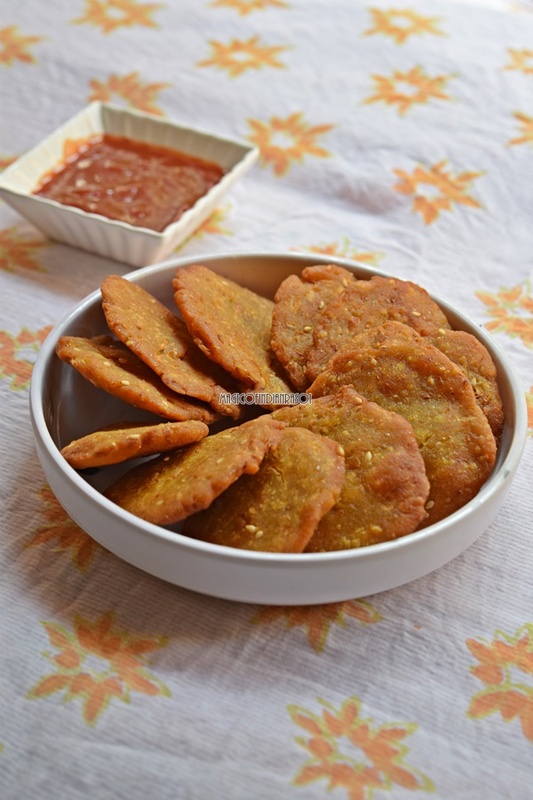 Dudhi Jowar Dhebra - another famous snack or farsan from the land of Gujarat. 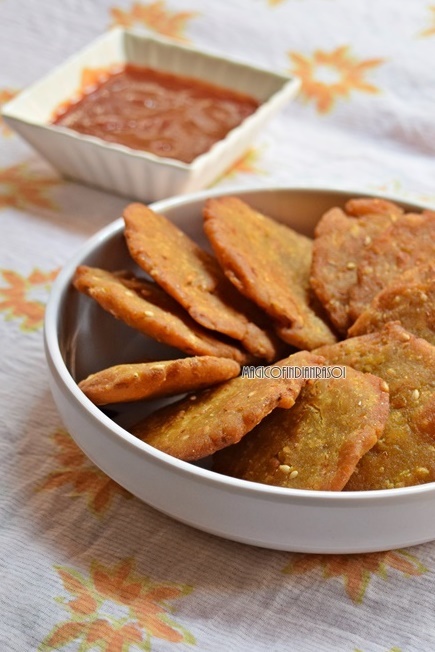 Dhebra is a popular breakfast item which is deep fried, puri like snack made from bajri flour or jowar flour. It is filling and delicious. Dudhi Jowar Dhebra is also famous carry on food for trips & picnics just like Thepla as it does not get spoiled for 2-3 days. For the health conscious, you can avoid deep frying and cook it like Paratha on tawa with little oil but make sure to roll it more thin. In this recipe, I have squeezed out the excess moisture from dudhi so it gets easier to work with the dough. If you want to retain the moisture you can do that as well but be gentle with handling the dough. 1. Squeeze water from Dudhi/lauki and keep it aside. 2. In a bowl, add jowar aata, dudhi, curd, green chillies and ginger paste, turmeric powder, jaggery, sesame seeds, oil and salt to taste. 3. Mix well and form a soft dough using the water squeezed from dudhi as required. If the dough comes together without the need of water, then avoid adding water completely. 4. Divide the dough into 13-14 equal size balls. 5. 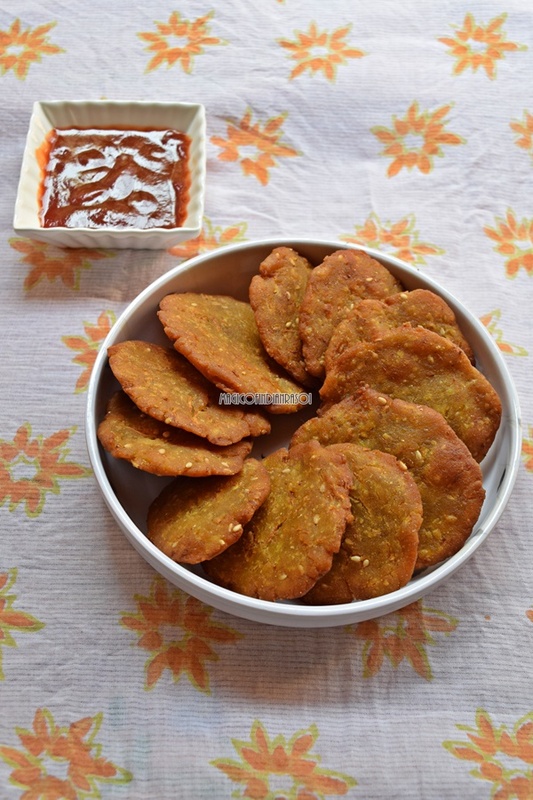 Grease your hands with some oil and flaten the balls with fingers to make small puris. 6. Put the flattened dhebra's on greased the plate to avoid sticking to the surface. 7. Once all the dhebra's are rolled out, deep fry them on medium/low flame till golden brown in color. 8. It takes about 7-8 minutes for batch to cook. Do not fry on high flame as it will change color quickly but will be raw inside. 9. Once fried, remove it on paper towel to get rid of excess oil. 10. Dudhi Jowar Dhebra are ready to be served.